Welcome to Waves to Dunes! Serving the counties of Orange, San Diego and Imperial, our CA Destination Imagination Region stretches from the sand dunes of the desert to the waves of the ocean – hence name “Waves to Dunes”. Does your Grade K – 12 student want to spend time working with friends to create something AWESOME?? Maybe a flying device that can launch things at a target, or a fantastical new game. How about solving a medical mystery, a super-strong, uncrushable monster tower, or an improv skit? Destination Imagination is forming new teams for the upcoming season in your area! Advice from an experienced DI'er! Interested in becoming a Team Member, Starting a Team or Volunteering at an event? All our Region's events in one place. Teams get to show off their solutions at tournament on March 9, 2019 in Laguna Beach. This is where all the hard work comes together in the ultimate celebration of creativity, innovation and FUN! 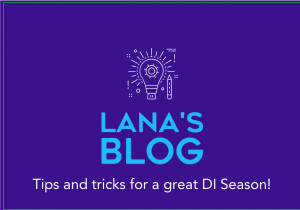 Resources for Teams, Team Managers and crazy DI Veterans, we have the help you need! Check out our Waves to Dunes Resources!